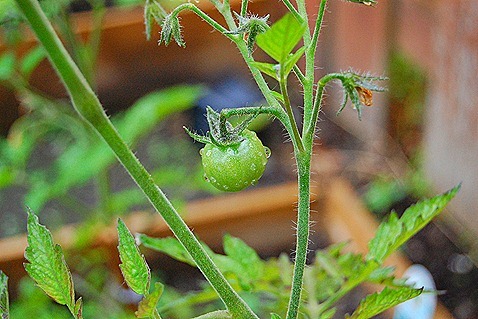 Sign of summer hope, first tomato has appeared for 2011. This is chocolate cherry type. Note soggy blossoms and raindrops. It’s still cold and raining.